Well the big Doug Schmell/Pedigree Comics collection was finally auctioned this past weekend through Heritage Auctions (HA). Below are excerpts from HA’s press release. 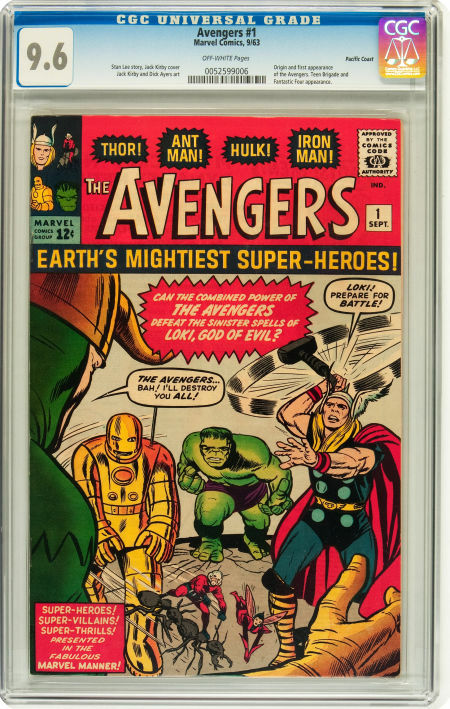 BEVERLY HILLS — The multi-million dollar Doug Schmell/PedigreeComics.com Collection, featuring the single greatest grouping of Silver Age Marvel CGC #1 Registry sets ever assembled, realized more than $3.94 million on July 26 as the centerpiece of the vintage comic book offerings in Heritage Auctions’ July 26 Vintage Comics & Comic Art Signature Auction. 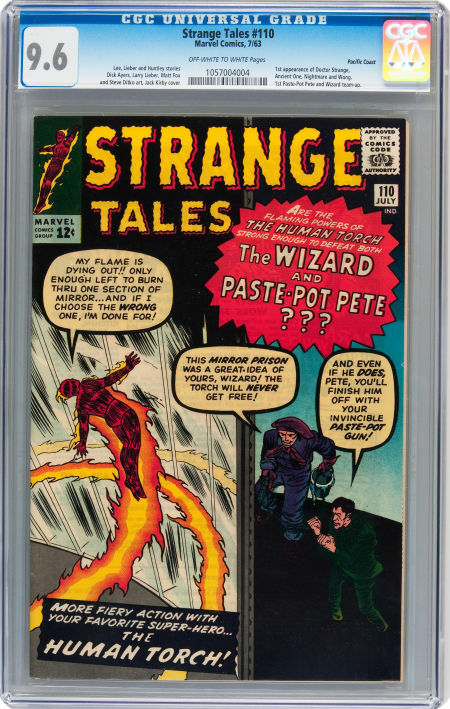 The top offering in Schmell’s incredible grouping was thePacific Coast pedigree X-Men #1 (Marvel 1963) CGC NM/MT 9.8, which brought an incredible $492,938. “I still can’t believe the X-Men #1 9.8 went for nearly went for half a million dollars,” said Schmell. Schmell has been putting his high-grade collection together for more than 20 years. 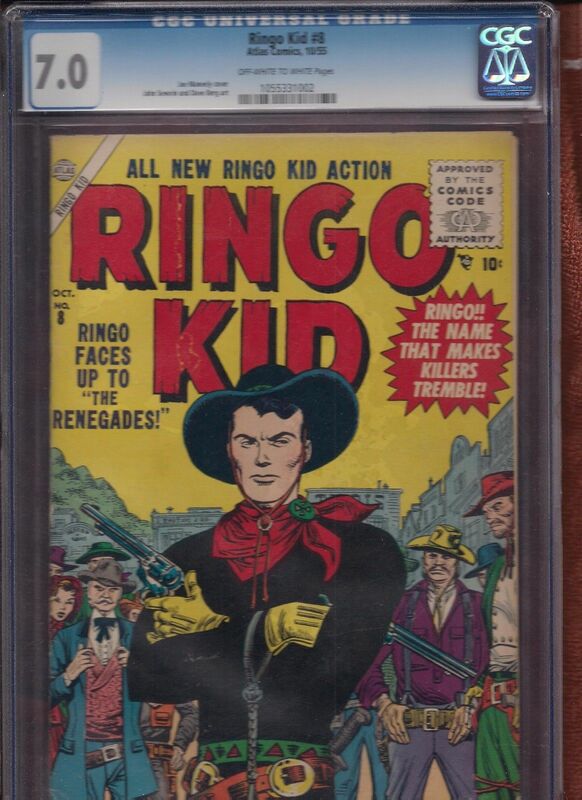 A successful comic collector and dealer, he carefully and deliberately selected each comic and carefully selected Heritage when it came time to let go of his personal collection. There was a lot of hype surrounding this auction and for its part it did not disappoint. Pre auction estimates were pegged at $3 million plus but when the final hammer fell the sum of all parts came in just shy of $4 million. Not bad for a few hundred slabbed comics! I wasn’t sure how to tackle this Auction Highlight; there were certainly many interesting and record-setting results. In the end I decided to peg it to my widely read “What are the Marvel Keys” post from a couple of years back. 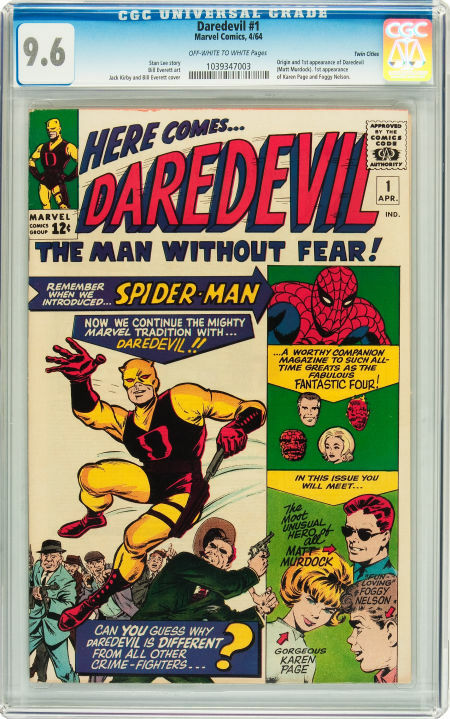 In that post I picked my 12 Marvel Keys, this auction had 7 of these 12 in nose bleed grades. BTW the 5 keys missing that were on my original list are Hulk #1, Amazing Spider-Man #1, Amazing Fantasy #15, Tales to Astonish #27 and Sgt Fury #1. Anyway I figured the likelihood of this caliber of auction happening again any time soon would be next to nil thus the focus on the keys. 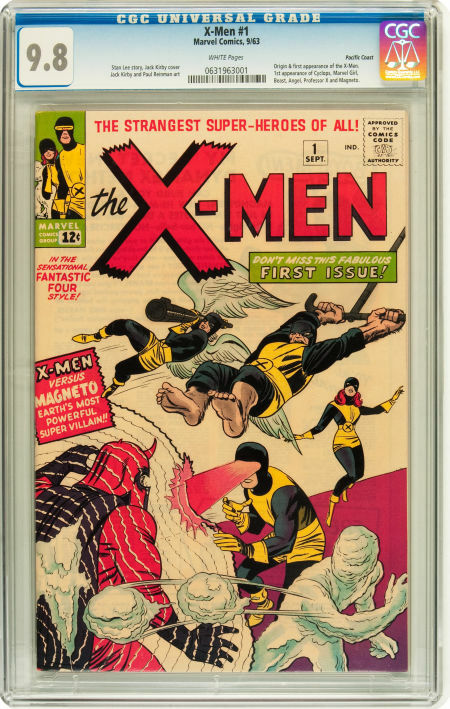 X-Men #1, Marvel Comics, (September 1963) Graded by CGC at 9.8 with White pages sold for $492,937.50.00 on. 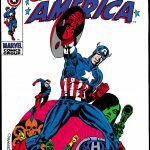 The Overstreet price guide value for this comic at 9.2 is $35,000.00. From the Pacific Coast Pedigree. Of the 1588 graded only 2 are 9.8 putting this copy in the 99.875 percentile! Here’s the thing though, I personally feel a bit of the price realized was for the 9.8 grade which I don’t agree with. Look at it this way, if the top 2 books were CGC 9.6 they’d be just as scare relative to the rest but I don’t think they’d realize this price. Perhaps this is an insurance/defense mechanism after all the odds of another 9.8 popping up are much lower that the odds of another 9.6 popping up. This book connects to the current X-Men in title only and thus the book is missing the continuity the other 6 in this auction possess. Of the 830 graded only 3 are 9.6 putting this book in the 99.64 percentile. Quick, name the 5 most popular, best known superheroes in the world today. Batman, Spider-Man, Superman, Wolverine, Iron Man would be my answer. Superman is more or less living off his past, Bats and Spidey continue to lead the pack, Wolverine has entrenched himself and Iron Man is currently doing the same. 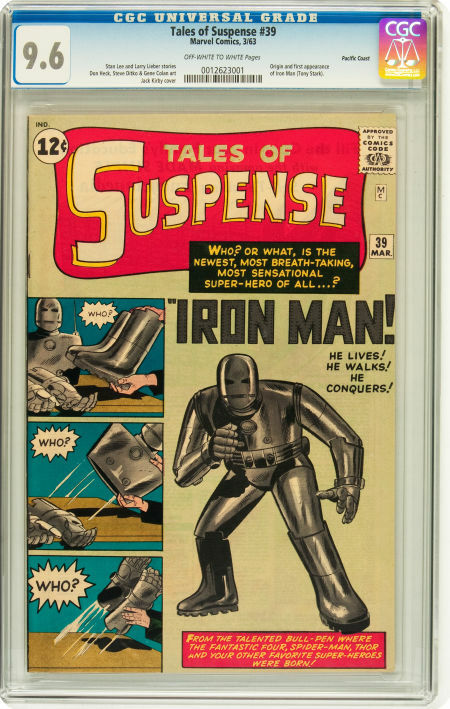 So we’re paying just over a quarter of a million dollars for one of the 3 best graded copies of the first appearance of Iron Man. I’ve always projected Iron Man to be one of the major comic book characters in the years to come; I’ve also projected that the first appearances of major pop culture characters will become historically important valuable collectibles in the years to come. But I’ve also projected that the CGC Census will see more high-grade keys in the years to come. The steep premium paid for this book will have to overcome a couple more CGC 9.6 copies on the census but I honestly think this book can do so as long as the supply jump is consistent with the current grade ratio scarcity. Of the 1536 graded 11 are 9.6 with 2 more at 9.8 putting this copy in the 99.15 percentile. 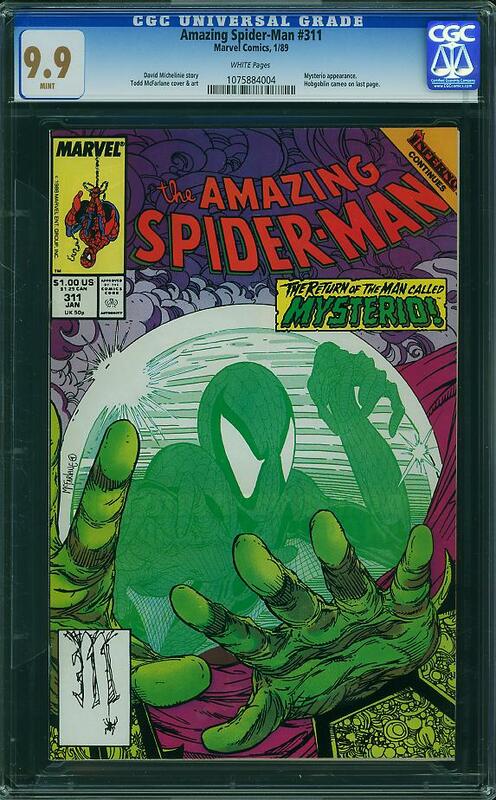 The supply and relative scarcity of this copy compare well with the 9.2 copy of Journey into Mystery #83 so I must assume the price is more reflective of the current popularity of the character. I see the long term trend being Daredevil on the ascendency while Thor treading water at best. Of the 760 graded 2 are 9.2, 4 are 9.4 and 1 is 9.6 putting this copy in the 99.08 percentile. At first glance you’d say this is a strong result but remember this copy is among the best 1% available, you can’t get much more exclusive than that. My fear is that the book will become more symbolic over time as the Fantastic Four become less relevant as characters. This has been happening slowly over the last decade and it will most likely continue unless someone does something brilliant here. Hulk #1 caught FF #1 in this year’s guide (2 years ago I predicted that wouldn’t happen) so the slip is continuing. Above and beyond all that I personally think this copy looks like a weak 9.2. 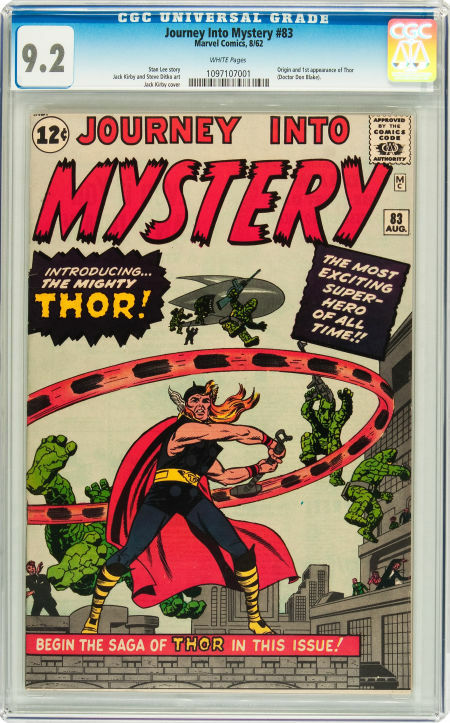 Journey into Mystery #83, Marvel Comics (August 1962) Graded by CGC at 9.2 with White pages sold for $83,650.00. The Overstreet price guide value for this comic at 9.2 is $40,000.00. Of the 674 graded there are only 6 at 9.2, 3 at 9.4 and 1 at 9.6 putting this copy in the 98.5 percentile. I’ve stated before that I think Marvel’s version of Thor is overvalued and I don’t like it as a long term investment. But hey, this is my opinion only; the market seems to not be able to get enough of this book. Of the 1246 copies graded only 3 are 9.6 putting this copy in the 99.75 percentile. Sorry but I just don’t think the 1st time you put several original creations in a book together merits the same price that the original creation books get. Avengers #1 was undervalued for a long time and the strides it’s made in the last few years are welcomed were merited. I think this result overshoots its deserved increase. This result was influenced by the property’s current success. Of the 406 graded 3 are 9.6 putting this copy in the 99.26 percentile. I’ve always thought this an undervalued book. Doctor Strange as a character has a lot of potential and I think his best days are coming. I personally did not bid on any of the books in this auction. How about you? The previous movies where okay, but far from home runs. The Doctor Doom character was all wrong – nothing like the comic book version. I always thought that the Star Wars Darth Vader character borrowed in large part from Doctor Doom. Humor in an FF movie is a good idea, but the movie humor was just too lame. The characters were sometimes out of character. I doubt that Stan Lee’s Reed Richards would have signaled Johnny Storm to follow the Silver Surfer alone without the support of the rest of the team. Johnny would probably not have looked to Reed for approval. I do hope they will reboot the FF and this time get it right. 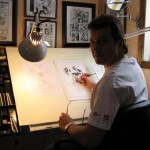 This could help to grow interest in FF comics. By the way Walter, have you noticed the value increase in Marvel Super Heroes 18 – first Guardians of the Galaxy appearance. Fans may be assuming this movie tie in with the Avengers will be a big success. Thanks for your reviews and insights Walter. I love reading what you share. Hey Walt. I have to disagree on Iron Man. Sure, the movies have boosted his popularity, but come on, in almost 50 years he has never been a top-tier character anywhere near the level of Batman and Spider-Man, or even later creations like Wolverine. TOS #39 is a definitely a great, key early Marvel book, but it’s also one of the few mega-highlights Iron Man has ever provided. Sure, he has always been good enough to be part of one of Marvel’s main teams, and even to consistently helm his own book. So that places him ahead of guys like Dr. Strange and…I don’t know…Moonlight. Remember how huge The Punisher and Ghost Rider were in the early ’90s? I think that’s something like what Iron Man is experiencing now, the difference being that he has longevity behind him. But that’s also one of the very things that suggests to me that his current popularity is a blip in his long history as a bit of an also-ran. Compare the degrees of fan outrage between the Rhodey Rhodes era and that of the Scarlet Spider…would that many people today really care if Tony Stark still weren’t Iron Man? Maybe a better comparison would be the Hulk’s popularity in the late ’70s and very early’80s. He started out in the early Silver Age, but never achieved massive success until the Bixby/Ferrigno series. Then he was right there under Spidey (or occasionally even alongside him) at the head of most of Marvel’s toys and promotional materials. I was a kid and loved Spidey and the Hulk almost equally. Superman and Batman were actually reduced to 3rd and 4th place. Did it last? I predict the same for Iron Man. In 10 years we’ll be saying “Hey, remember when Wal-Mart used to sell all that Iron Man stuff?” Then we’ll pick up a Spidey or Batman backpack for our kids. Walter – I see I got the Guardians of the Galaxy bump awareness from one of your previous posts. Thanks! Hey OS – I loved reading the Stan Lee & Jack Kirby Fantastic Four growing up. I am with you and hope to see popularity growth for them from the general public. I think though that we will see Iron man continue to grow on popularity. We can’t separate the cartoons, toys and movies from the popularity of the character. Iron man may be the most well cast super hero ever, as portrayed by Robert Downey, Jr. I can still see him playing Iron man 10 years from now and going strong. Great comments OS, time may still prove you right. My thoughts are that what society wants out of a hero are changing. I think heroes like Batman, Iron Man even Daredevil have more potential than characters like Superman or the Thing or the Silver Surfer because we the public can see ourselves as Iron Man etc. At any rate I hope you are wrong on the Iron Man! I agree with the FF #1 though. About 2 Guides ago I said Hulk would never catch FF and look where we are now! 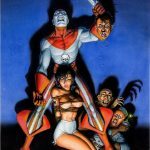 Peter K is right about how the FF movie didn’t do the property any favors. Here’s hoping for an FF revival! Crazy stuff isn’t it Peter! Hey Walt, I just read your Top 12 key early Marvels article that was linked with this one. Any chance you will update it? Any changes you’d make based on what you’ve seen in the market since you wrote it? The really astounding thing is that almost every title you listed was published within less than two years, between 11/61 and 9/63 (the exception was Daredevil #1, only marginally younger, from 3/64). And of course there are many, many other important books you excluded — e.g. 1st app. of Dr. Doom, Doc Ock, and most key villains — that were also published in that same time frame. I wonder if any other period in history (in any medium, let alone comics) has been so fruitful. I don’t think even Elvis or the Beatles had that many hits in their first two years! My oldest daughter is 7 and I decided earlier this month it would be a good time to introduce her to superhero movies. We finished off with IM this past weekend… and I’ll keep it going with Av once it’s out on disc. When I asked her what her fav was, it was the FF movie… and her fav character, Johnny Storm. The FF movie is more kid friendly than the others… the story is simple and lighthearted. By contrast, she didn’t have the patience for Spidey. A lot of it also depends on who’s pulling the strings and why. The idea for the Av movie was sparked about 10 years ago and so Marvel has been pushing the Av characters accordingly. Av continues to be promoted as Marvels flagship team but there was a time when the FF was more popular, and of course the X-Men. All this to say that your perception of IM is influence by the past, but come October 31, do a count of how many IM costumes you see versus Superman or Spiderman. Ultimately, it’s the hearts and minds of the current audience that will determine IMs fate. IM has been rising in popularity for over a decade now and if you think he as another decade to go… Isn’t 20 years kind of significant? As long as they continue pump out good material (unlike the Hulk) and the franchise brings in “mo’ money”, I suspect IM will remain in the forefront. If the Av movie was basically a live action version of the Ultimate Av cartoon, logically Av2 should take cues from Ultimate Av 2 cartoon… which featured the Black Panther. Considering that the current Av line up is all “white”, introducing the Black Panther would be a big step forward for the franchise. 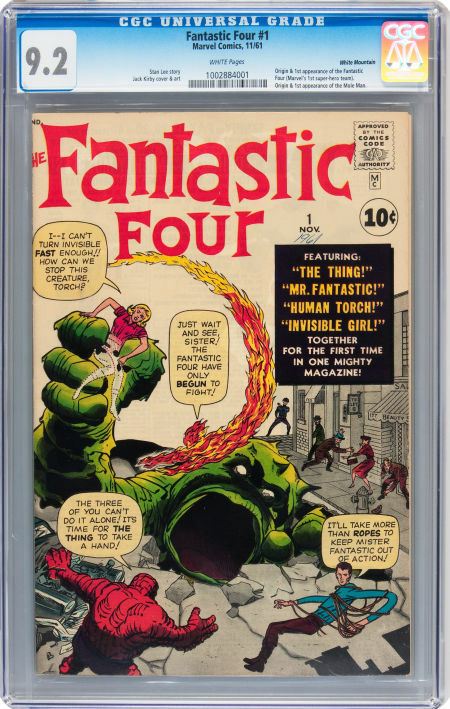 So while everyone is talking about Thanos and the Guardians of the Galaxy… am I crazy to be eyeing FF#52, the 1st appearance of BP? 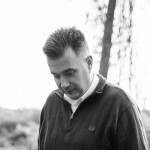 Now that Doug Schmell is a millionaire… again. I wonder if he’d be interested in a personal Asian pool boy…? Walt, do you think this sale will significantly change Overstreet values in next year’s guide? How exactly do big auctions like this bear on the following year’s valuations? Has there been a precedent for this? This is something I’ve never really looked into. You’d think these sales would push up other sales of the same book and you’d think that all this together would spur Overstreet into action. Come to think of it I think the Amazing Fantasy #15 and Action #1 guide values have been influenced this way. At Kapow, Joe Quesada announced a Ms. Marvel script is complete and they are now looking for an actress. It’s crazy how many super hero movies are coming out. Will this someday impact prices for Ms. Marvel comics? 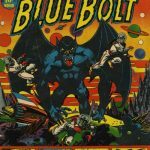 What other new movies may someday drive up the value of other comic properties that have limited value today? Who can say whether these movies will be bombs or home runs and how it will impact the market for good or bad. Hey, if you are a comic investor, why go to a gambling casino? We are doing that every day with our hobby, but I think with a lot less risk. I get your point about Avengers (since it contained no 1st appearances, just 1st appearance as a team). I think the argument is further validated by the fact that the “team” in Avengers #1 is a far cry from the current Avengers team. It’s just using your X-men argument (you are just buying a team name) over again. While the F4 have been relagated to 2nd tier behind the Avengers push I’m sure there are plans to push the universal lynchpin that is the F4 back to the top of the stack soon. Eventually Marvel will regain the movie rights, and give it the Avengers treatment. And the F4 #1 book has so much going for it: 4 origin stories, 4 1st appearances, the creation of an iconic team that has a 50 year continuity with (mostly) the same 4 members for the whole run, a key title villain, AND a Kirby cover. Where else can you get that? Become more symbolic than relevant? Makes me think of Action 1 and Detective 27. 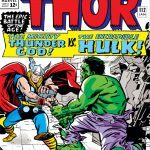 Neither book ties to the current version of the hero very closely beyond some basic elements, but being symbols of comic book iconography have kept the prices on those books moving up over the years. 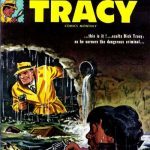 Still Action #1 and Detective #27 gave us the two heroes. I think most of the value is in the character for these 2 books. Action carries more symbolic weight than Detective thus it’s the most valuable book out there. I do agree that FF needs a little TLC to bring back the magic. I have to disagree about the long-term trend for X-Men #1 in general (not necessarily the half million dollar 9.8) being less than that of many other Marvel keys due to connection in title only to the current team. In this book, you get seven first appearances, including Professor X and Magneto, who are likely to always remain essential to the X-Men series, the yin and yang around which so many plots revolve. And as Marvel villains go, if you asked most collectors to name their Mt. Rushmore of Marvel villains, I’m willing to bet Magneto makes the cut as frequently as anyone. With all due to respect to Thanos, Loki, Green Goblin and others, he may well be second only to Dr. Doom among the great Marvel villains. While the importance of the other 5, the original members of the X-Men, has waxed and waned over the years, at least one among them, Cyclops, has been the fulcrum of most incarnations of the team. He is to the X-Men as Cap is to the Avengers, or Martian Manhunter to the JLA through most iterations. Just another perspective on this book; you may be selling it short.